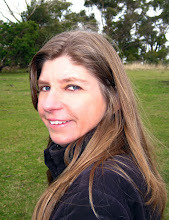 Marilyn lives on the outskirts of Melbourne (Australia) with her wonderfully supportive husband and two beautiful children. When not writing, she likes spending time with her family, taking long walks in dark forests and reading (anything involving paranormal romance / urban fantasy). Her favorite authors include Becca Fitzpatrick, Stephenie Meyer,Claudia Gray and Amanda Hocking. Mystery Falls is her debut novel and the first in a series. 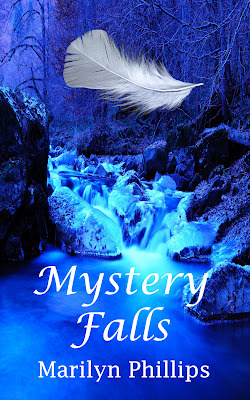 For my leg of the tour, I'm excited to share with you my review of Mystery Falls! So read on! I want to thank the author for providing me with a copy of this book to read and review. 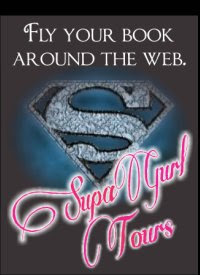 I received this copy as part of the blog tour being hosted by SupaGurlTours (http://www.supagurlbooks.blogspot.com). First let me say that I love this cover. So stunningly beautiful. The blue color is so amazing. And the feather, oh yes, you will understand that when you read it for sure! The characters were really great in this book. Samantha is a character that lacks confidence for sure. She is a bit shy. But at the same time, she questions everything. She wants to know what's what. She's persistent and a bit stubborn. She gets her answers even when no one will answer her questions. Shadow, cloaked in a bit of mystery. He's very interesting. He's arrogant and self-centered for sure. But he is also caring. He frustrated me quite a bit during this book and I wanted to beat him over the head with a stick, I have to say. He's very swoon worthy. Their chemistry is awesome. It's steamy and seductive and certainly pulls you and makes you want to keep reading. The storyline is very unique. I love the mystery that surrounds it. I love all the twists and turns and no knowing what was going to happen next. It kept me interested and intrigued. Philips writing style lends so much credit to the story. It flows and she creates a world that is captivating. If you're looking for something that will pull you in and keep you embraced in the story, then this debut is it. Go pick it up, you won't be disappointed. So, don't you want to dive in and see what it's all about? Click on the links below to buy! Thank you so much Brooke for your kind words. I'm pleased you enjoyed Mystery Falls and greatly appreciate your support.